Today we are continuing our popular blog series “How to Study …” focusing on “How to Study Chemistry”. In today’s post we will help you to discover tips and techniques to help you improve your Chemistry results. Don’t forget to have a look at our previous issues on how to study Mathematics, History, and Biology. Chemistry is a subject that is often studied alongside Physics. However, it is important to remember that the two subjects are very different. 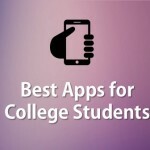 With this in mind, we have distinguished and identified the best methods and study techniques for each. The method known as ‘Flipped Classroom’ or ‘Class Reversed’ is a growing trend in all subjects, including science. However, its effect in learning Chemistry can be seen twofold. The technique encourages students to study the lesson before going to class. This concept familiarises the student with the subject content making the class much easier to follow. Students can then consolidate that knowledge and use class time to raise important questions. William James said: “The essence of genius is to know what to overlook.” We cannot agree more! You have to be selective with what you memorise. When we study, efforts should focus on understanding concepts rather than memorising every last detail. Once we have gathered the important facts, we can implement this selective memory method. But remember, under no circumstances should memorisation replace understanding. The course is full of Chemical symbols, Chemical formulas and very scientific language. Interpreting all of these concepts correctly is key to your success in Chemistry. Although this may seem like an obvious point, large numbers of students fail Chemistry each year because they underestimate the importance of understanding this complex subject. With this in mind, study sheets or flashcards are ideal for organising and storing chemical symbols and formulas on. Once you have created a good set of flashcards containing the periodic table of the elements and formulas, memorisation will become much easier. It is not enough to simply pay attention in class. In Chemistry, it is necessary to write down everything and understand what you taking notes on. Formulas and equations are far easier to understand once written down and presented in the right way. When notes are compiled and stored in an organised fashion, it is easier to determine what you do and don’t understand. If you want a simple way to create some great notes wherever you are, try our Online Notes tool. Continuing with the previous point, one of the key areas in the study of Chemistry is practice. Solving equations and practical problems should be a feature part of your study routine. Test your knowledge with sample Chemistry tests on a regular basis. 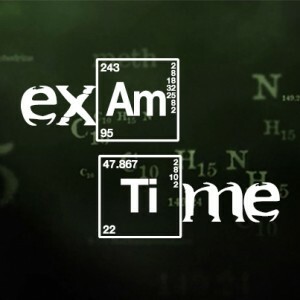 This will prepare you for your exam and assesses your level of understanding of Chemistry to date. Moreover, as we mentioned in the subject of Biology, it is important to go to the lab as often as possible. There is no substitute for hands on experience. It strengthens our knowledge of Chemistry in a practical environment. Finally, we would like to emphasise that, although we have separated these study methods into 5 sections, these are not stand alone ways to succeed. 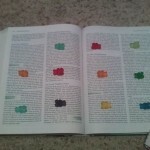 Rather, when used together, they will increase effectiveness of your study time. In addition, Chemistry includes many fields of study, each with its own particulars, so it is necessary that you evaluate your own strengths and weaknesses and choose the study method that best suits you. Some of these fields have a heavy load of Maths or Physics, so mastering these subjects is also crucial. With this in mind, don’t forget that with ExamTime, you can enter mathematical and chemical symbols using the LaTeX language resources. This will facilitate the introduction of formulas, equations and other mathematical concepts. Do you have any other tips on how to study Chemistry? If so, share them with us in the comments section below! This entry was posted in Exam Tips and tagged chemistry, How to Study, online study, study tips. Bookmark the permalink.